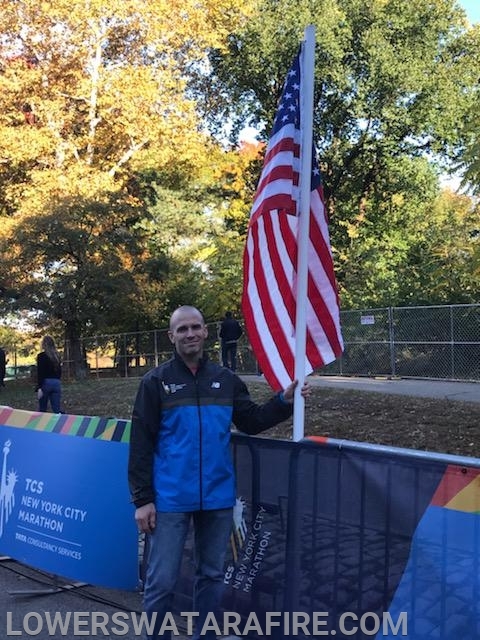 On Sunday, November 4th, Assistant Chief Kevin Zimmerman completed a major personal goal by completing the New York City Marathon. 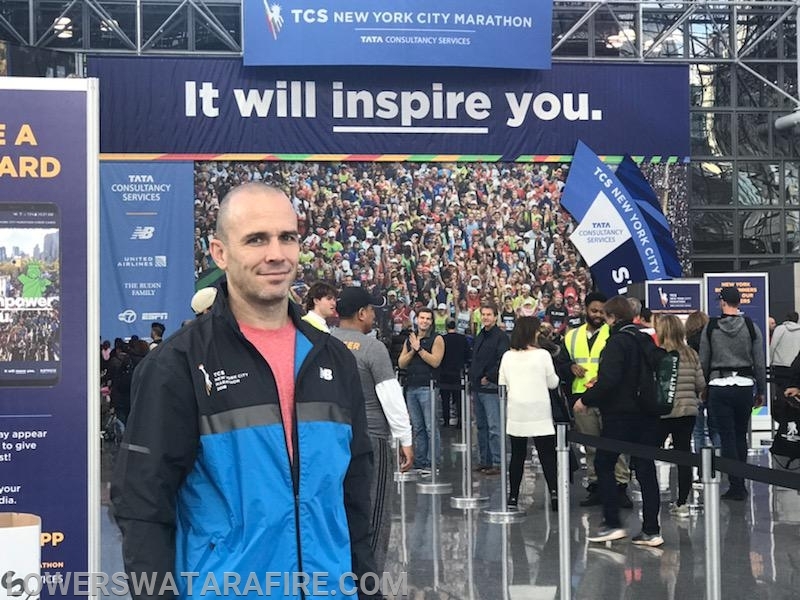 Over a year ago, Kevin decided that one day he'd like to run in the New York City Marathon. That day came sooner than he imagined when he was granted a slot in the 2018 race. He immediately began a rigorous training regiment to increase his endurance, gradually increasing his distance each week. Unfortunately, his plans were almost put on hold when he injured his knee earlier this year. However, Kevin did not let this discourage him. He healed up quickly and was back to full strength and training within a few weeks. In between work, his firehouse duties, and softball games and practices, Kevin continued to train, getting faster and faster each week until it came time to race. 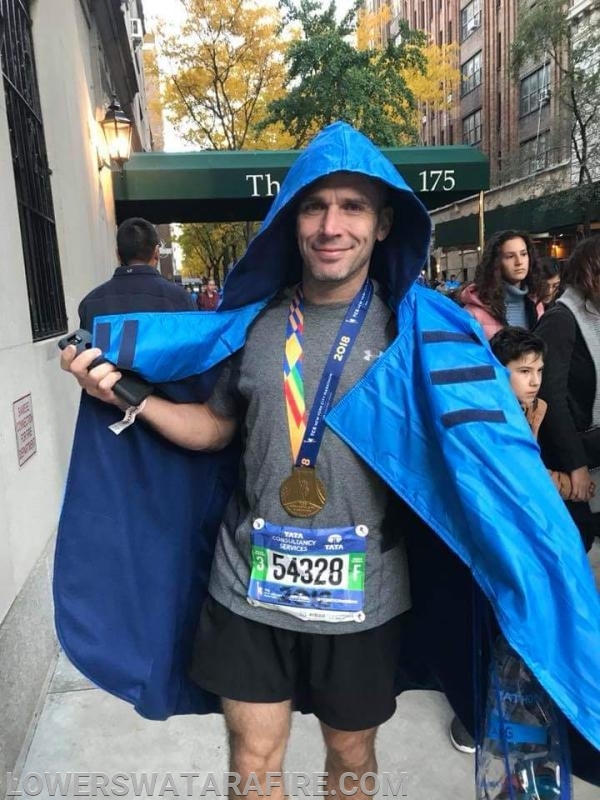 Kevin finished the 26.2 mile race through all 5 boroughs of New York City in 04:51:58. Congratulations Kevin on this major accomplishment! We couldn't be more proud of you!